This beautiful floral skirt had been sitting in my closet for far too long, and when I was organizing I thought to myself, “why on Earth have I not worn you?” So, that Sunday I wore it to church with a simple chambray. I let the skirt do all the talking. 😉 I hope you all love it as much as me. Previous Post I’ll Eat You Up, I Love You so! Super cute! I love the floral and chambray. Great look! 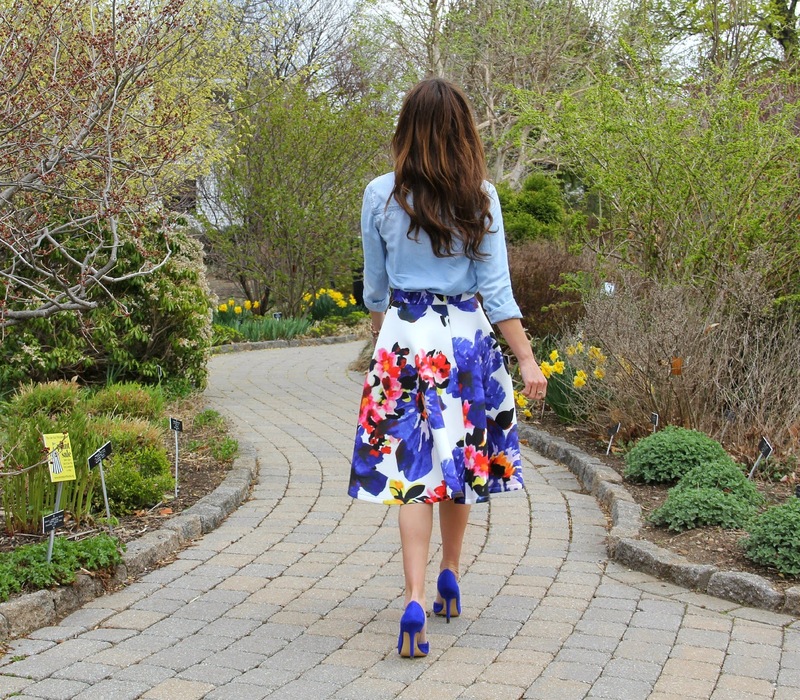 Love the combination of floral skirt with denim shirt! I am loving this!!! Love all the blue!